Just $0.99 CAD per ounce over spot! Save $6.96 CAD per ounce over spot! Perth Mint with a maximum mintage of just 300,000! This beautiful Silver coin features one of the most feared creatures on earth: the great white shark. 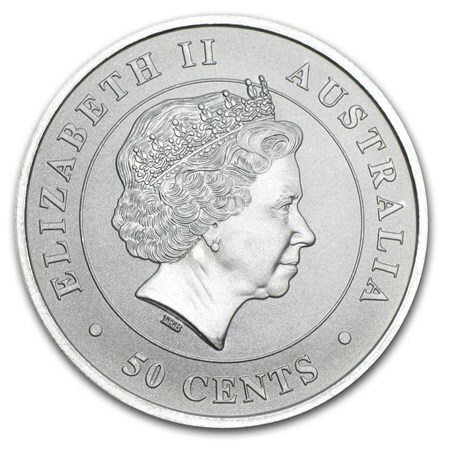 Obverse: The Ian Rank-Broadley likeness of Her Majesty Queen Elizabeth II and the monetary denomination. Reverse: Features a great white shark, surrounded by the name, weight and purity, along with the Perth Mint's "P" mintmark. The Perth Mint has once again produced a coin enjoyed by all. 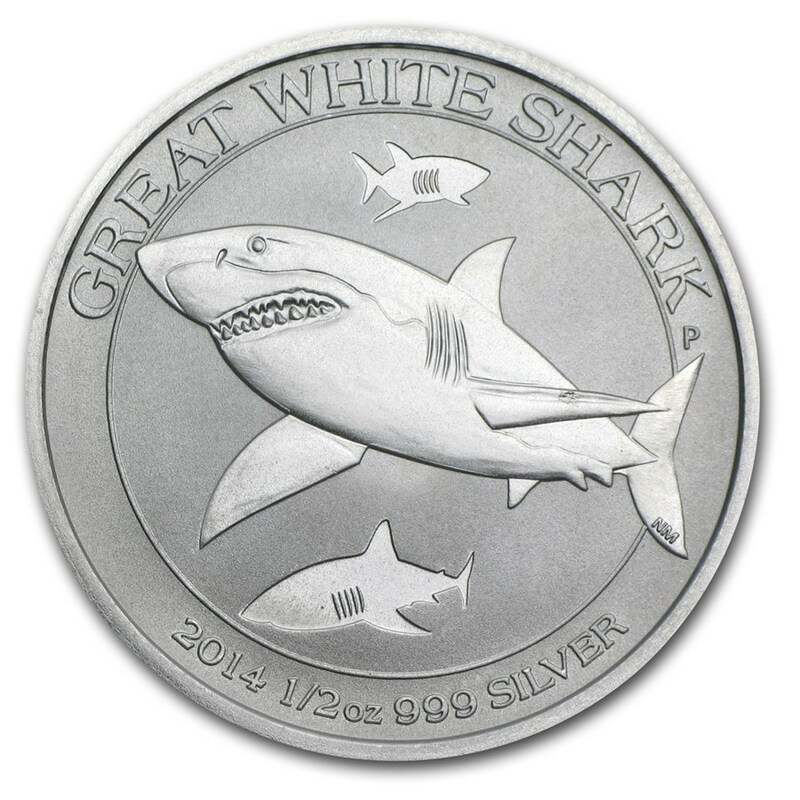 Add the 2014 1/2 oz Silver Great White Shark to your cart today!